Forget about what you know and have heard about apprenticeships as apprenticeships have changed. They are changing young people’s lives for the better. An apprenticeship is a smart and effective way for your son / daughter to gain skills, qualifications and experience in their chosen career path. They combine work, study and training so the young person ‘earns while they learn’. Apprenticeships range from GCSE level to A level to Foundation Degree level and, regardless of your child’s previous qualifications (if any), we can help them to move on with a career. There is a large range of apprenticeships across a wide range of industries and jobs and, best of all, the government and the employer fund this route for your child. Contact us for more information on what it means to be an Apprentice in 2018. 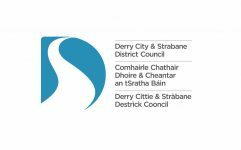 Our professional Skills Team from Derry City and Strabane District Council are on hand to answer your questions and give you more information with no strings attached. Call me with telephone number and request call back link needed.